Ricardo Correa, MD, Es. D, FACP, FAPCR, CMQ is an assistant professor of medicine for the University of Arizona College of Medicine and the Warren Alpert School of Medicine of Brown University in the division of Endocrinology, Diabetes, and Metabolism. He is the Endocrinology, diabetes, and metabolism Fellowship Program Director. Also, he is editor of Dynamed and outreach unit director of Endotext.org and Thyroid manager. He was trained in EBM at McMaster University in Canada and in Editorial process and OJS by LATINDEX. He is co-director of the Panamanian Cochrane Center and EBM advocate. 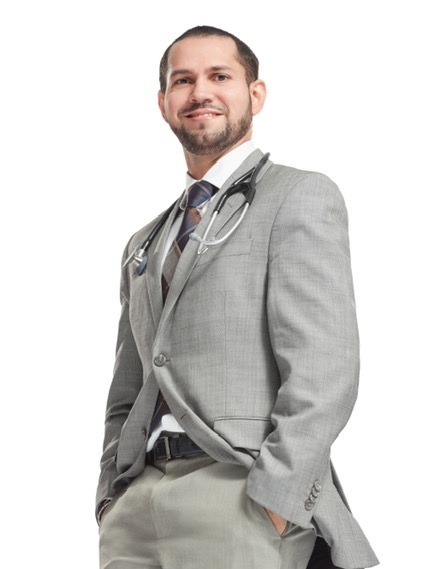 Dr. Correa has been involved in organized medicine since medical school. He has been president of the Latin American Medical Student Association (FELSOCEM), scientific committee chair and vice speaker for the AMA RFS, chair of the CoA for the ACP FC, Board of Trustee of the Maryland Medical Society, National Secretary of the CoA for the NHMA, Regional Vice President of the CIR, Medical Education Officer of JDN-WMA. He has been involved with local, regional and national organization in the area of medical education, leadership and physician wellbeing, ACGME at different level including the duty hour task force, NBME as part of the board and other organization. He has been a strong advocate for minorities in healthcare and work directly with several organizations including BNGAP to decrease disparities among physician focusing on International Medical Graduates in Academia. Dr. Correa has published some articles nationally and internationally about resident and physician wellbeing and worked closely with the junior doctor network of the world medical association in the white paper about this topic. Also, he has multiple publications in the area of medicine and endocrinology. His research focuses on healthcare disparities, neuroendocrine and immuno-endocrinology. He has one NIH grant and on PCORI NHMA mentorship grant. Dr. Correa has been involved in multiple academic, scientific and educational activities including article Consultant, Interpretation of the Medical Literature Project, NBME, International Committee member of the Committee on publications ethics (COPE), World Association of Medical Editors, Deputy Editor of International Archives of Medicine. He has been editorial board and peer reviewer of multiple journals including Also he is a consultant for Latin-American science center including Bolivia and Panama national science department. He is an ECFMG advisor for International Medical Graduates and has mentee multiple medical students, residents, and fellows. He is board certified in Medical Quality. He is the author of the book title "Case report: basics and publication."